Pyrex and Sibata Analytical Volumetric Pipette 1-25-50 mL (Lot of 3) Great Tips . New Life Scientific, Inc. These pipettes are used with very little wear and are in excellent condition. The tips and the heads have been checked for chips or cracks and passed a visual inspection. 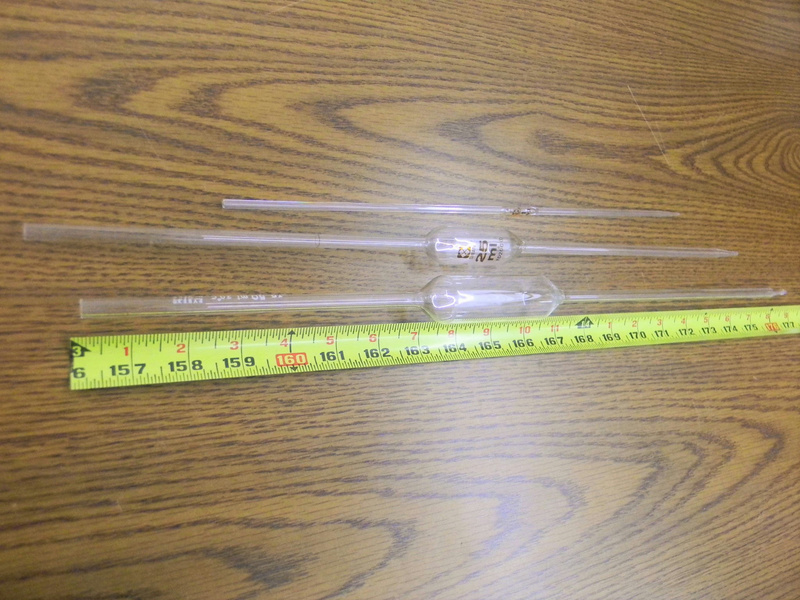 These 50mL PYREX® glass volumetric pipets were designed primarily for schools and laboratories where the Class A tolerance of No. 7100 is not required. They are constructed to the same wall thickness and length as our No. 7100, but have larger tip openings for faster delivery. It is primarily due to this faster delivery that accuracy tolerances are twice those specified for Class A volumetric ware. New design allows more complete and efficient drainage.